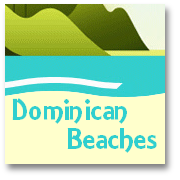 We would love to include any Dominican Republic reviews that you might like to submit here on this page. 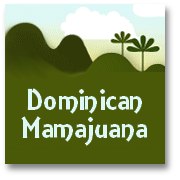 A big thank you to Gayle, who kindly visited our site, asked a question, and was thoughtful enough to remember to send us her own party's Dominican Republic review after returning from vacation in February 2005...we really appreciate the time and effort. 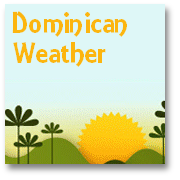 Yes please, don't forget we'd be very grateful if any of you would like to send us your own Dominican Republic reviews, when you get back from your own holiday, for us to include here! We (girl's in late 50s) have returned from our 7-day stay at the Barcelo Talanquera Juan Dolio. Various tours...and horse back riding trips are offered, and priced accordingly. Plenty of food on offer (but take note of the restaurant hours) I hope you like chicken (and spoons are not on the table) and there is a dress code in the eating area. I recommend the occasional US currency tip (for service staff, taxi drivers, etc.) and consider packing 'freebees' to give away such as clothes, tops/jackets, baseball caps for boys and girls. In addition, take toiletries, and medicines in case you pick up an irritated throat or cough on the plane, bug spray, bug ointment for mosquito bites, a beach towel, and water bottle container to fill at the bar or restaurant. Do not drink the hotel room tap water. Charges apply for Internet or Dr. service. There is television, phones, room towels, a refrigerator and quite a selection of rooms on the huge complex. Tell your travel agent your preference. We changed with our Air Canada rep. to move into the '500 block' area and this ocean view room was lovely. For example, garden view Room 61 is equipped with separate bedroom, kitchen table and chairs, stove, refrigerator, counter, dishes and all the living room trimmings with couch, coffee table, ceiling fans for entertaining guests with a deck, sliding patio door and white plastic deck furniture. The evenings were cold during the week of Feb.12 to Feb.18 (2005). Take light cover jackets, pants to keep warm outside during the splendid evening shows (especially after sun all day long I found the night air chilly). They do not have pools for 'toddler kids' or a game area for them. Hotel bus transportation to and from the airport is 'neat' as they drive criss- cross over speed bumps. I enjoyed the view, and traffic is busy but very entertaining, I think. Expect delays. Scooter drivers offer about town rides if you care to ride short distances to shop. The Spanish speaking staff are happy, accommodating, do not speak English much but give everyone a splendid welcome to their culture. They have daily activities at the poolside and games at the beach (which are) all inclusive. 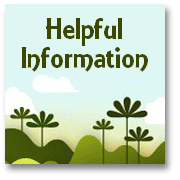 (A further tip is to) be sure to study your flight times as they cannot provide late check-out after 12 noon. The line-up at the airport for our departure was slow. Have your passports up-to-date along with US$20 cash departure tax. As you know, Canadians like to travel during winter months, along with Americans, Russians, Germans, French, the British, and Italians! 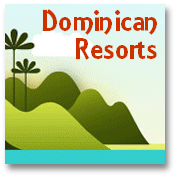 (Which all makes very cosmopolitan and interesting mix at) the Barcelo Talanquera, Juan Dolio on the South coast of the Dominican Republic, which is all in all a good three star hotel, (that matched our expectations) and was in our judgement sufficient for our needs."